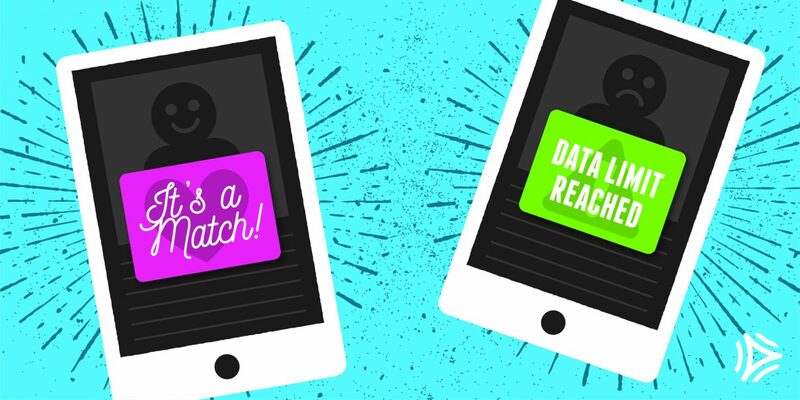 You may not want to hear this, but your phone’s battery and data usage are probably getting more action from dating apps than you are. 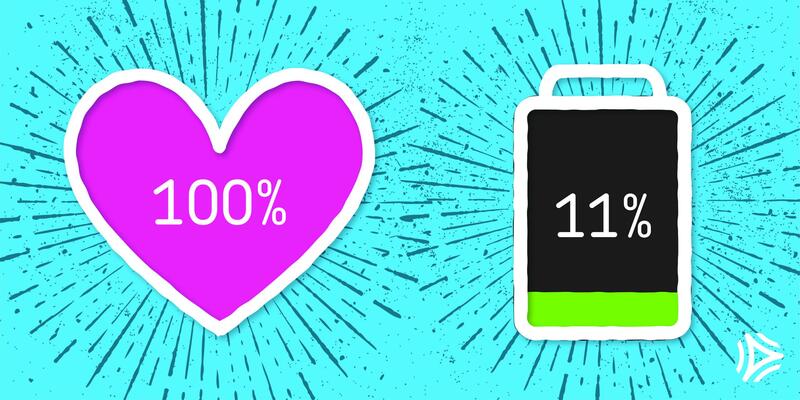 Luckily, we’ve put together a guide to best mitigate draining batteries and skyrocketing data bills without disrupting your swipe, match, and wink game. Why are dating apps draining my battery and destroying my data? The gamification of online dating. Many dating apps feel and behave like games, so people are compelled to spend more time sitting, swiping, and giddily awaiting for the match to pop. Similar behavior can be found in casinos everywhere. The playfulness and delayed gratification of slow dating apps, for example, breaks the ice but can chip away at data plans and battery life. Less matchy, more chatty. A recent study of over 3,800 college students showed that a strong majority of young people are actually using dating apps as social media. The apps are used for connecting with friends and not necessarily potential hook ups. So instead of quickly swiping and meeting up IRL, users are constantly chatting on an app’s data- and battery-sucking messaging platforms. Wait a second… I swear I don’t use dating apps that often! 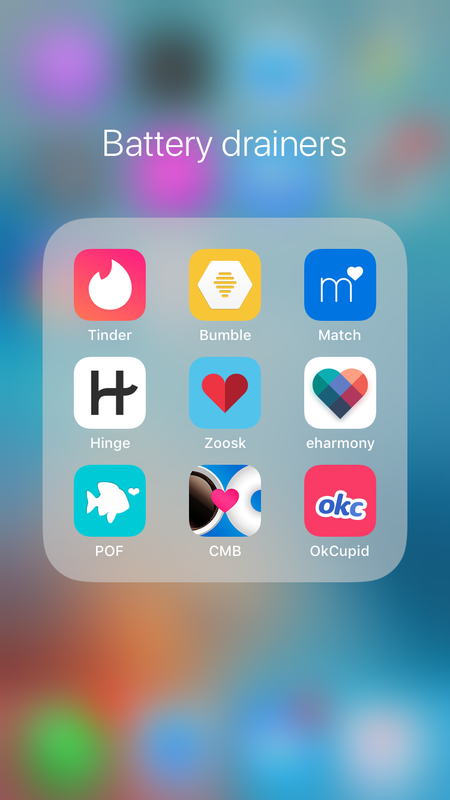 Even if you’re not an active user of the dating apps on your phone, some apps are constantly evolving and include more features that weren’t available when you last took a look (i.e. messaging, GIF integration, etc.). You’re probably using multiple dating apps. And it’s not just you. The majority of online daters do not show a “loyalty” to any one dating app. People tend to sign up for several and throw a couple lines out, so to speak. Having multiple dating apps could be part of the problem, rather than any one app causing battery and data trouble. Turn off background data in your smartphone’s setting. Keep screen brightness low. Everyone looks better in warm light, anyway. Turn off location services. Be aware that dating apps all utilize location tracking, so the longer you use them, the more the app works to comb your local area to find people. This can take a toll on your phone as its constantly loading. Disconnect your social media. (Don’t panic – this doesn’t mean actually disconnecting from social media.) For example, having Tinder connected to Facebook is mandatory to sign up, but you don’t need it connected to Instagram or Spotify. Having these apps constantly interacting can send background data into overdrive and poses a security risk. Always opt for Wi-Fi. It’s a good practice for all people – single and married. Asurion is committed to helping customers enhance their lives through technology. Our Soluto tech experts are here to help.